Have you ever been surprised the library offers free museum passes? Are you interested in genealogy? Did you know you can check out an Echo Dot? 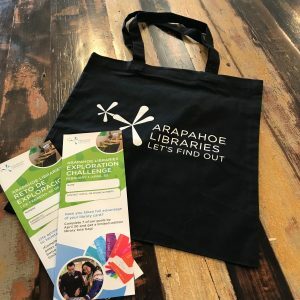 The Exploration Challenge offers a fun way to discover new things to do with your library card. Come into your local library and pick up your brochure today! The Exploration Challenge brochure has ten activities for readers and adventurers. When you finish seven of those activities, all you have to do is return your brochure to get a limited edition tote bag. The program will run February 1 through April 30. Get a Personalized Reading List: Looking for your next “great read”? Just fill out the form and you’ll receive suggestions based on your interests. Explore Your Genealogy: Discover your roots with our genealogy resources. Take an Online Course: Learn a new skill by completing an online course. You can access courses for free with your library card. Tell us about your experience exploring the library!